Utilizing video tutorials as a resource for learning outside of school hours allows teachers to help students in several ways that can make time spent in the classroom more productive such as explaining new concepts, deepening understanding of recent concepts, or demonstrating how to perform specific tasks. As 1:1 student device initiatives swept across the country, smartphones became the norm, and access to computers with an internet connection at home became more ubiquitous, it was inevitable that a rise in educational tutorials was going to occur. Consequently, we find common platforms, such as YouTube, to contain an ocean of science tutorials specific to any topic you wish. But more does not always mean better. While some teachers have become well known within the educational community for making well-produced tutorials, the vast majority of other videos are of low-production quality and do not often include the subtle nuances of language or depth of explanations that your own students may be familiar with simply because the person talking in the video is not you. But why not you? Have you considered creating your own videos? In this post, I offer teachers some suggestions for increasing the quality of their video tutorials; focusing primarily on hardware and software options. Whether you are contemplating creating video tutorials for the first time and just want to be pointed in the right direction or you have already dipped your toes in the water and are trying to get more serious about improving the quality of your videos, you will likely find something of value here. My effort is to make the logistics of this whole process less intimidating and, hopefully, you will find options that fit your specific needs and your budget. Chemistry is a unique subject with respect to the value quality tutorials can provide. To provide meaningful information in this format, we must get creative and think about how we can illustrate and connect symbolic, macro, and sub-micro levels. Not only can we use tutorials to break down mathematical concepts in more detailed ways, but we can also use them to help students understand what is taking place at the particle level using diagrams we cannot easily or quickly draw during the middle of a lesson. Regardless of what concept we are trying to communicate, video tutorials allow for greater equity since students can watch/learn at their own pace and have more freedom of choice regarding when they want to learn. So, if there is value in making your own tutorials that are specific to your class, what exactly is needed and what can you do to improve the quality? At a minimum, you are obviously going to need some device to actually make these videos with. The good news is that pretty much any device can be used to fit your needs. Whether your desktop/laptop is a PC/Mac, or your primary device is an iPad, you have a number of options. While it is not absolutely necessary to be capable of drawing on your screen while recording, research suggests that tutorials involving drawing result in higher engagement with the viewer by increasing continuous visual flow.1 From a practical view, drawing on your screen in a way that is natural allows you to conveniently display information and makes the video feel less formal. Since the variety of stylus pens is seemingly endless, put your “responsible consumer” hat on and take the time to do a bit of research and consider spending a bit more for better quality. Here are some of my favorite options. Because I have a Microsoft Surface Book, I use Microsoft’s Surface Pen (figure 1) which I absolutely love drawing with. 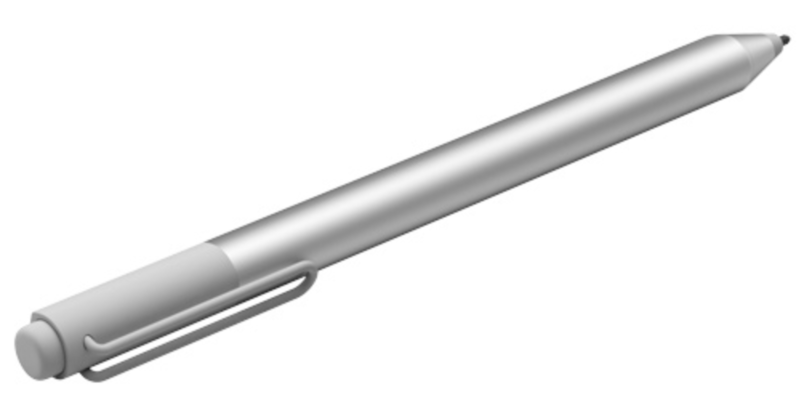 Since the functionality of this pen was primarily designed for Microsoft’s Surface devices, only consider this stylus if you have a Surface device yourself. Compatible with practically every Apple device. While the Apple Pencil is ideal for an Apple device, you might want to avoid its $100 price tag and pay half the price with Wacom’s stylus (figure 2). If your primary device is an iPad, consider this stylus or something similar to it. Compatible with Asus, Dell, HP, Lenovo, Microsoft, and Samsung computers—basically anything that can run Windows. Consider the Ink Smart Stylus (figure 3) if you are planning to make your videos on a PC. If you are new to making videos, this may seem a bit picky but let me lay out the argument that convinced me to improve my audio quality. Microphones that produce lower quality audio place higher cognitive stress on the listener since they are much more susceptible to unnecessary background noise and the brain must worker harder to interpret what is coming in. When someone is trying to concentrate on your video, background noise is more than just a nuisance, it inhibits certain brain activity and weakens the ability to concentrate.2 Since your tutorials are meant to help students learn, any preemptive action you can take to minimize the cognitive stress of your videos will be valuable. The first four years I spent making tutorials, I never really gave the idea of quality audio much thought. I had always relied on the default internal microphone in my laptop and I felt like it did just fine. However, last year I decided to get more serious about the production quality of my videos and upgraded to a Blue Yeti microphone which plugs in directly to the USB port on my laptop. The moment I listened to a recording with it, I noticed the difference immediately. Not only is the Blue Yeti easy to use, but its tri-capsule technology allows me to choose from a variety of pattern modes to ensure the best quality sound. Table 1 - Pattern models and descriptions from Blue Designs website - accessed 8/28/18. If you are shopping for a quality microphone, I recommend going with a USB microphone. 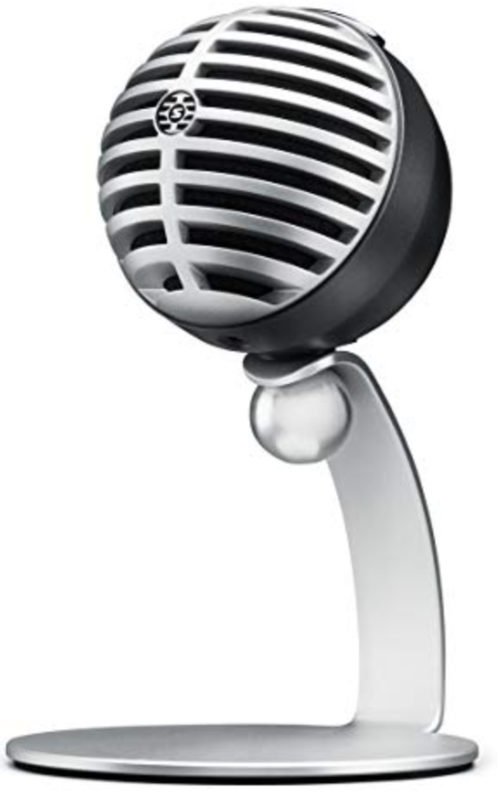 Most podcast and screencast producers these days use this type of microphone since they are both affordable and provide decent quality audio. The best part about USB microphones is that they require no additional hardware. Simply plug the USB cable directly into your computer and you are good to go! Though I am completely satisfied with my Blue Yeti, you can find a great comparison of some of the best USB microphones for home recording here. Shure MV88: Offering convenience and professional-quality audio make this one of the most popular choices for iOS users. Watch a YouTube video for a more in-depth review of this mic. Shure MV5: Though not as many features as the MV88, this mic can still provide high-quality sound while being a bit easier on your wallet. 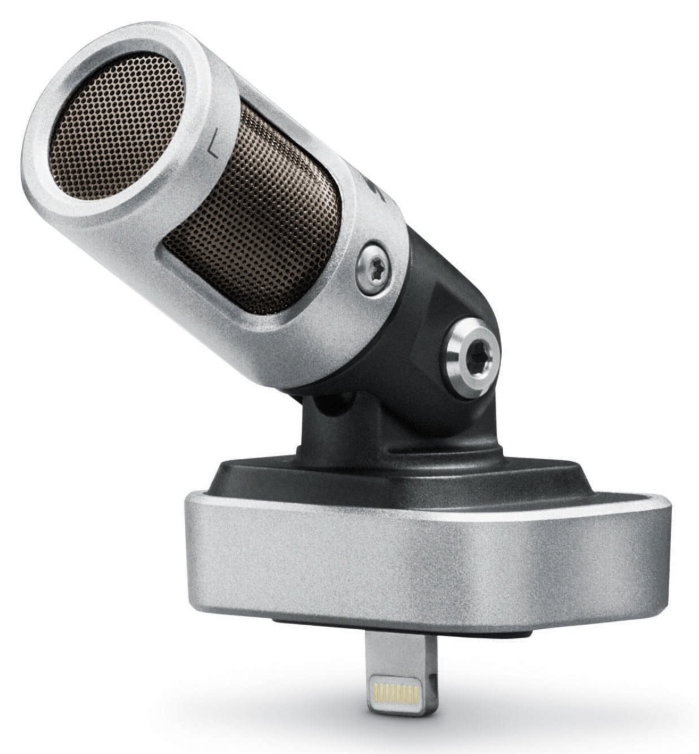 If you are looking for more variety, check out this review of multiple iOS-enabled mics. Deciding on the software you want to use for recording and editing your videos can feel a little overwhelming due to the variety of options. However, it is arguably the most important decision you will make throughout this process since your ability to make tutorials, and the convenience associated with making, editing, and sharing them, is entirely dependent on the software you choose. To make your choice easier, you might want to look for the following features that your software should provide at a minimum. Here are a few of the most popular choices that will likely suit your needs. I chose to go with this option a few years ago and have never looked back. If you are relatively new to making tutorials, Screencast-O-Matic is a great place to start since their website allows you to download the software for free and start making recordings right away. The screencasting tool they provide is incredibly simple to use and they offer several useful features that can improve the quality of your videos with convenience. Though they offer three different subscription plans (free, deluxe, premier), I found the free option provided enough useful features to make and even edit videos throughout my early experience. After using the free version for a couple years, I liked the software enough to upgrade to the Deluxe version which provided more recording, editing, and sharing features. You can see a detailed comparison of the three available plans on the Screencast-O-Matic website, but I have listed some of the most common features below that I use for nearly all my own videos. Record window or full screen, webcam recording, zoom in while recording, trim recording, add captions, save to desktop, speed up/down, view videos on virtually any device, and easily publish to YouTube, Google Drive, Dropbox, or Vimeo. Although expensive, Camtasia offers a variety of editing and recording features that make it an option worth considering. If making high-quality videos is your priority, Camtasia provides everything you need to do that. Check out some of these great features here. From a teacher’s perspective, one of the coolest recent features is the ability to make videos interactive by inserting quizzes. This allows you to see who is watching your videos, and how much they have viewed. However, even though the interface is relatively simple, this may not be the best option for a beginner. I am not a Mac user myself, but this software seems to be the best option for Macs and other Apple products. Since its pricing, features, and functionality are not all that different from Camtasia, you may simply find that you like the overall experience with one over the other. Sometimes it is just a personal preference. Check out some of these great features here. At its most simple level, the app is essentially an interactive whiteboard that allows you to record your annotations, voice, and face. Each “project” you create starts with an infinite canvas where you can easily import media, make annotations, and insert text which allow for endless creative opportunities. Since their massive update in 2017, Explain Everything has expanded its features to include more editing features and even real-time collaboration—something many teachers have used for group projects. Before I started making tutorials with my laptop, I used the Explain Everything app on my iPad. Six years later, the app has grown tremendously in popularity among educators due to its intuitive functionality, versatile features, and cloud storage. If you use your iPad often, you might want to think about spending the $10 for this useful app. Even if you have used PowerPoint for years, you may not have noticed that it actually allows you to record your screen. Like other screen-recording software, you can choose to save your video file and upload it to whatever platform you use. While limited in video editing and annotation features, it is definitely an option worth considering since you already have the software and there is no associated cost. To see PowerPoint’s recording feature in action, check out this YouTube video. If you are still looking for more options, some great screencasting tools for educators can be found on the Fractus Learning website. If you are genuinely trying to get serious about producing high-quality video content for your students, investing in the appropriate hardware and software is necessary. Though you are the ultimate driving force that will determine the effectiveness of a tutorial with respect to learning, the tools you use can supplement your videos in ways that can increase the probability for meaningful learning to occur. In my next post, I will build on this idea of creating tutorials and describe recommendations for making effective and engaging video tutorials in chemistry that result in learning based on cognitive science, human information processing, and third-party programs. Until then, have fun browsing the hardware/software options above! For those who would like to save some money on their microphone, the Samson Go Mic (which is what I use to record my videos) only costs about $40. Great starting list for teachers! Thank you Ben for this wonderful share. You basically summariesed all the months of research that I've done to create my own video lessons in just one blog post! I'm using a wacom tablet pen and Camtasia to edit my videos. I think it's important to invest in a good computer as well so that during editing and rendering you don't encounter any lag or slow rendering. 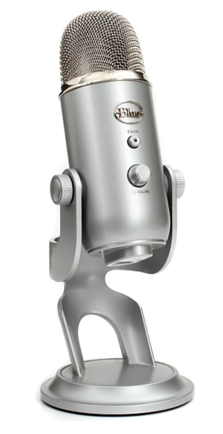 For microphones I had a hard time with the recommended mics that podcasters use on YouTube such as the Blue Yeti as it pick up alot of background noise. I basically researched and experimented with all sorts of mikes - podcast mikes, lavier mikes, etc. In the end I found Rode Videomic Pro, a shotgun mike, more suitable as it picks up sound only in the direction it is pointing towards and minimise background noise. In my opinion having a good mike is the MOST important factor in video lessons. Imagine looking at a video with alot of background noise or if the student cannot make out what you are trying to say. The student will lose focus very quickly. Finally may I add I find having your face on your video does make the lessons more engaging and can capture attention better. There are many video lessons on YouTube with only sound and a blank screen and some handwriting along the way. So it helps to use a webcam to capture yourself and place it at the side of the video so at least there is a face that the student can look at. If you guys are interested in the format and presentation of my video lessons please take a look at either my website or YouTube Channel.